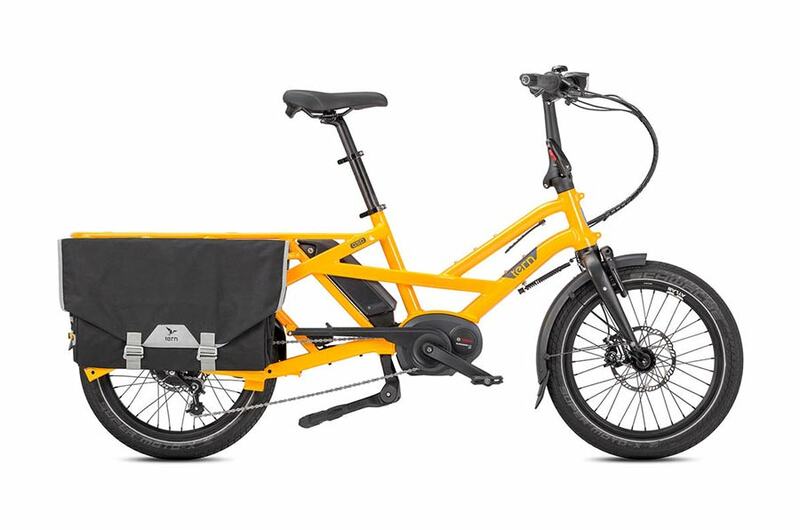 The GSD ebike is designed to carry two kids, a week’s worth of groceries, or 180 kg of cargo, but it’s only 180 cm long—the same length as a standard bike. 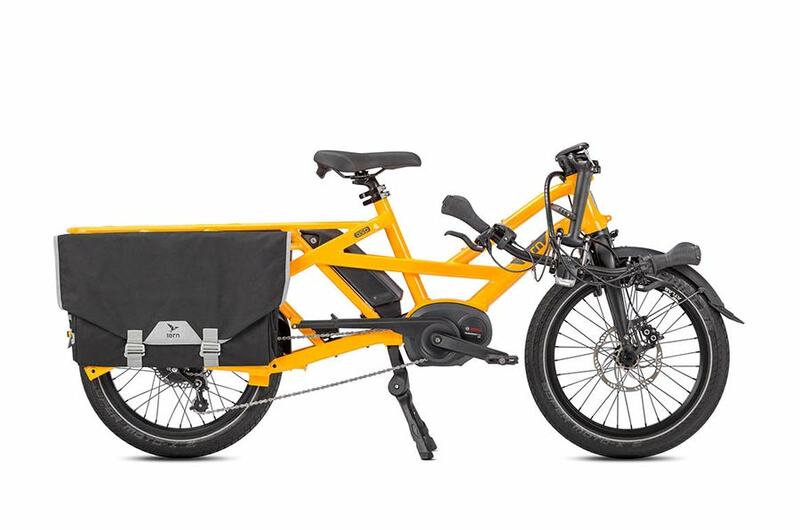 With Tern’s best-in-class folding technology, it packs down small enough to fit in a VW Touran or an urban apartment. 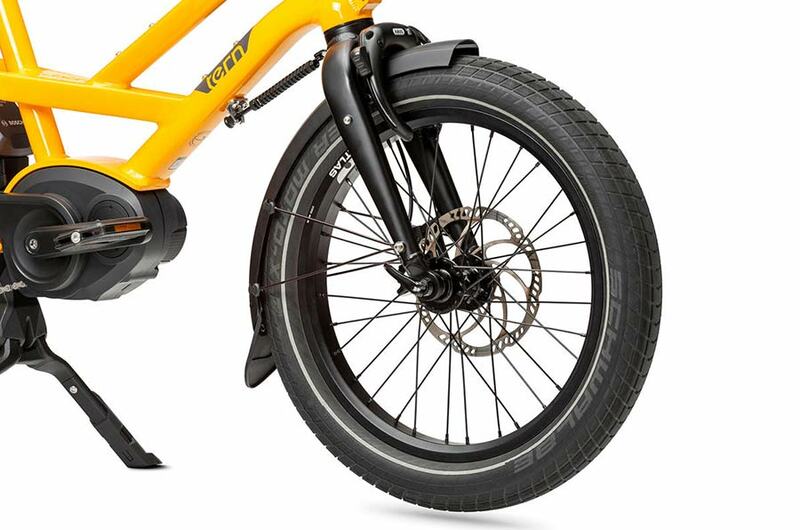 Plus, it adjusts to fit riders from 150 – 195 cm—so mum, dad and the kids can all share it. With a range of accessories to fit this versatile load platform, it’s a very attractive alternative to a car or small van. 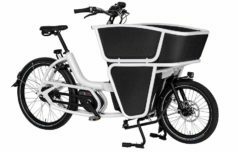 The GSD boasts cargo-bike capacity, despite its city-bike footprint—up to 180 kg (400 lbs.) including rider. 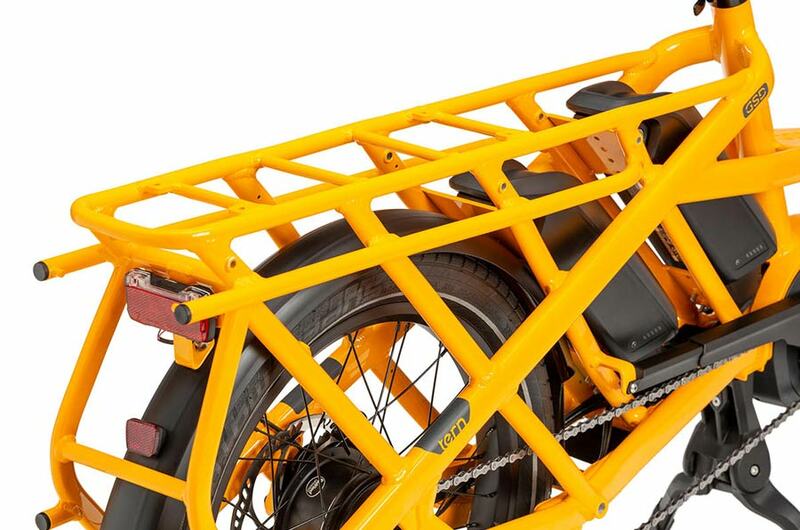 Build it up with Cargo Hold Panniers and the Shortbed and Transporteur racks, to carry industrial strength Eurocrates, a week of groceries or a family picnic plus the kitchen sink. Gears Shimano Deore 10 speed gears. 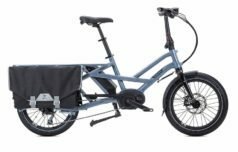 If you are looking to ditch the car, increase your fitness, reduce your costs, carry kids and/or cargo, have fun, reduce pollution, save the planet or maybe all of these, then the Tern GSD gives you a real practical way to do this. 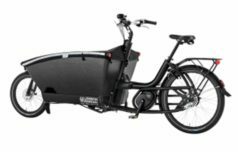 It’s designed to carry up to 180kg, and its strong versatile frame can hold a range of accessories from child sets to cargo boxes and panniers. The S00 model features the Bosch Performance CX motor, 500Wh battery and NuVinci CVT transmission for even better performance and simpler operation. It’s also easy and great fun to ride, and with its dual battery option the range is huge – we guesstimate up to 125 miles. 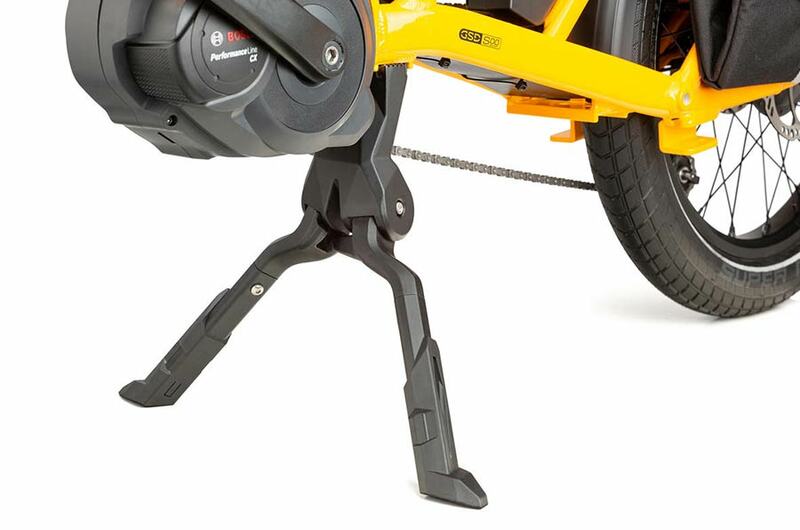 Storing it is made as easy as possible, it’s the same length as a regular bike, believe it or not, and the handlebar stem folds down to reduce its height if you want to load it into a car or other space. We think this is the future for shorter journeys. Come and try for yourself and see what we mean. "Here’s a claim that gets thrown around willy-nilly but isn’t necessarily true 100 percent of the time: ‘This bike can replace your car.’ Guess what. The Tern GSD can replace your car."